Something new is brewing in the dance world, and it’s brewing right in our neck of the woods. This fall, some of the country’s most innovative choreographers will descend upon Rhode Island for the inaugural Northeast Choreographers Festival. The festival is the brainchild of Fusionworks Dance Company in Lincoln, founded in 1987. Back then, the modern dance studio was a longshot in itself. Despite all the doubt they faced, today they are one of the longest standing modern dance repertory companies in New England. Now they are pushing the envelope and defying expectations yet again by hosting this ambitious event. It will be their largest endeavor to-date. The company invited choreographers from across the country to submit their work to be presented at a public concert in November. A select handful were chosen out of over 50 applicants. Three were given a $1,000 stipend to do a week-long residency over the summer during which they set their work upon the dance company, while one local choreographer received a $500 stipend to work with Fusionwork’s youth company. Each choreographer is also required to hold a masterclass leading up to the final performance. The winners include Lane Gifford of LaneCoArts, Gierre Godley of Project 44 based in New York City, Winne Berger of Mook Dance Company also based in New York City, independent freelance choreographer Jenny Gerena, and Jessica Pearson, assistant professor of dance at Rhode Island College, who will be working with the youth company. Jenny Gerena, Gierre Godley and Lane Gifford all held masterclasses in August. Upcoming masterclasses include Jessica Pearson’s intermediate modern class on September 9, Gierre Godley’s intermediate/advanced modern technique class on November 3 and 4 and Winnie Berger’s intermediate/advanced contemporary class on November 5. There will be an invitation-only educational concert on November 4 for 650 students from schools throughout the state. It all leads up to the final public concert on November 5 at Bishop McVinney Auditorium in Providence, which will feature their work from their summer residencies. The event was funded via a very successful Kickstarter back in February. 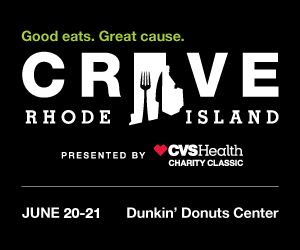 It is sponsored by WaterFire Providence, Neighborhood Health Plan of RI and Rhode Island State Council on the Arts. The aim of the festival is to bring the latest in modern dance to Rhode Island, to further the arts in our communities, to give emerging choreographers the chance to showcase their work and to enhance the public’s understanding and appreciation of modern dance. To purchase tickets for the main performance or register for a masterclass, visit necf2016.eventbrite.com.